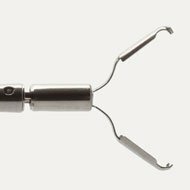 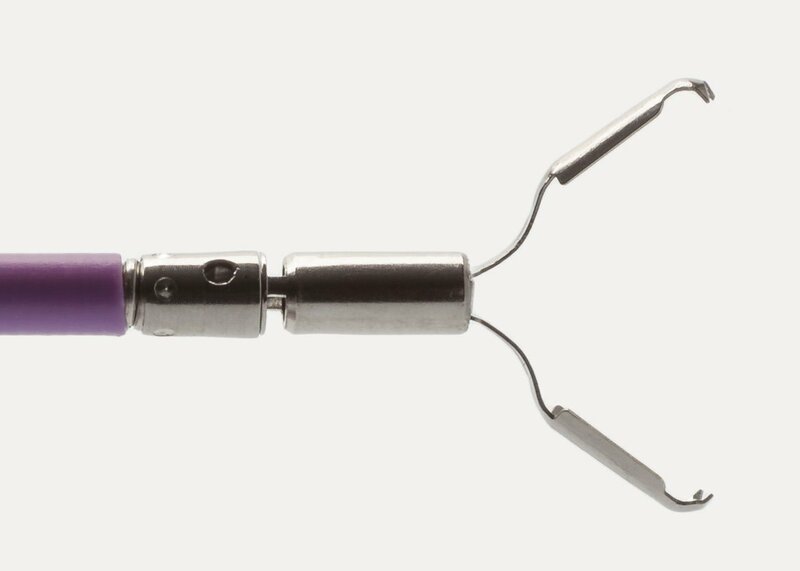 With continuous 360° rotation capability, positioning the RePlay Hemostasis Clip is easy and precise. 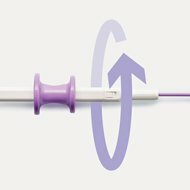 With continuous 360&deg; rotation capability, positioning the RePlay Hemostasis Clip is easy and precise. 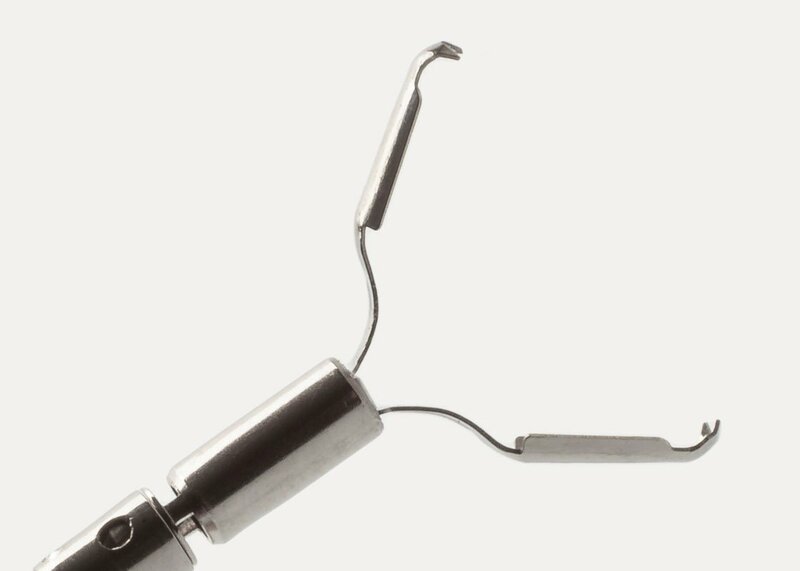 To facilitate the way you work, a simple twist of the positioning barrel rotates the clip 360°. 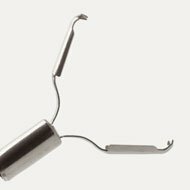 Your fingers never have to be removed from the handle. 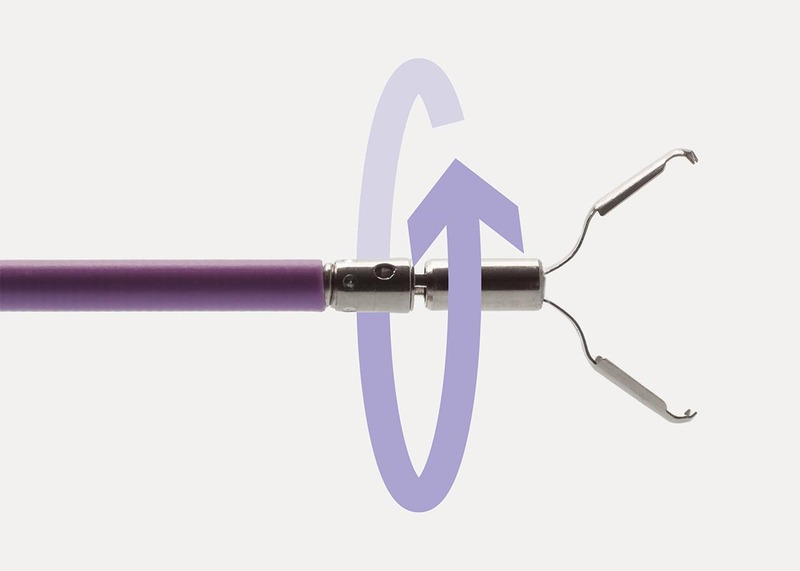 The full rotation design ensures positioning without the unwanted “helicopter” effect. 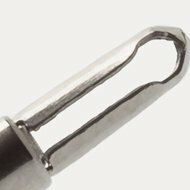 Superior clip design provides clean deployment. 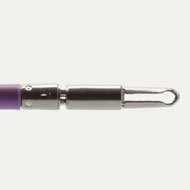 The clip separates cleanly from the sheath during deployment eliminating the need for additional shaking or pulling. 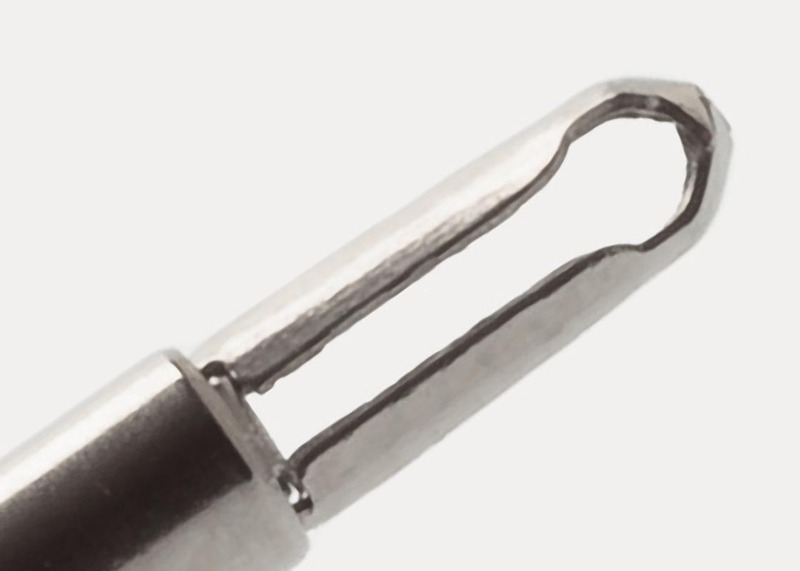 Recognizable tactile feedback to the user helps reduce the risk of accidental deployment. 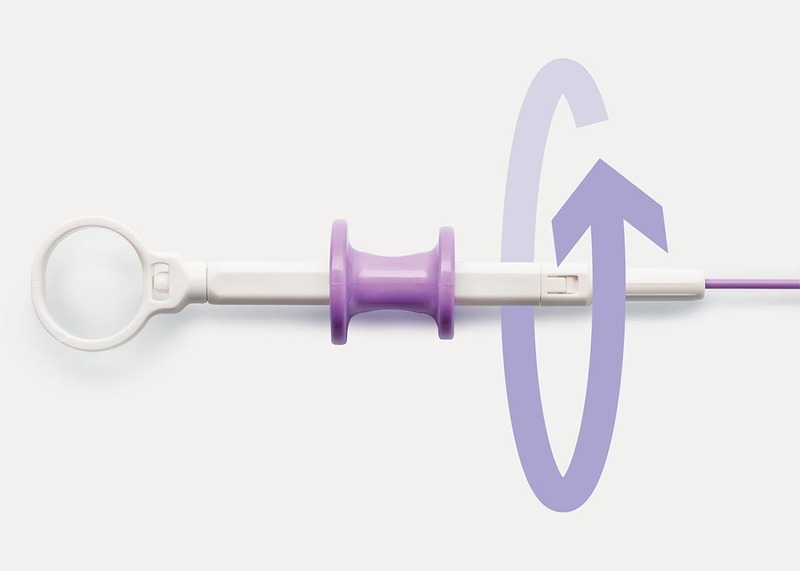 In addition, the clip enables unlimited opening and closing prior to deployment. 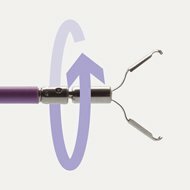 The geometry of the clip optimizes grasping power for enhanced vascular closure. 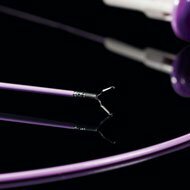 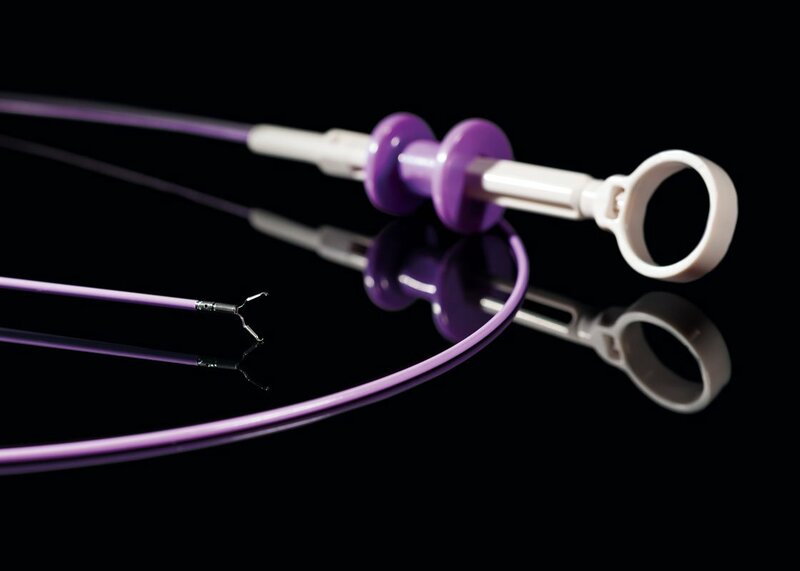 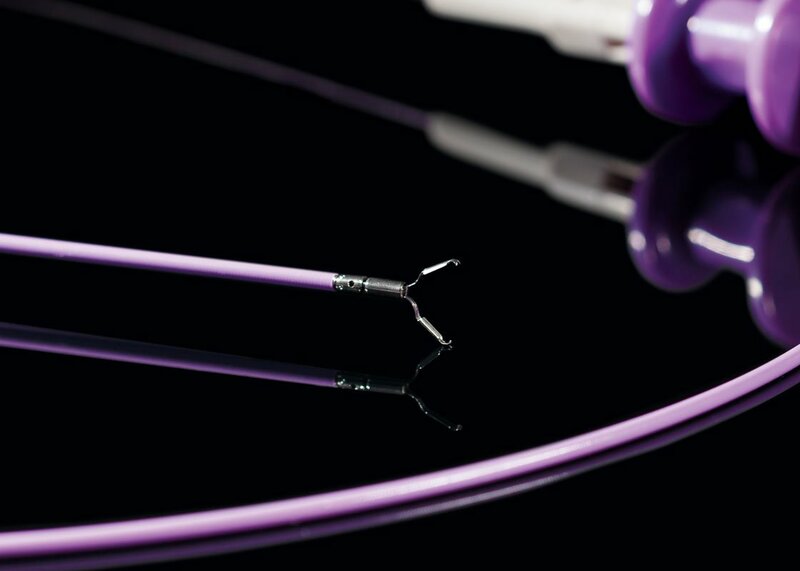 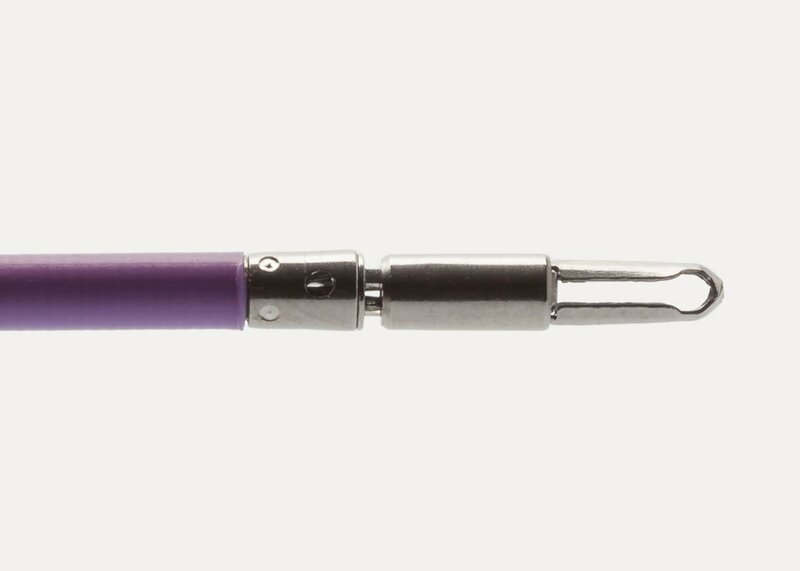 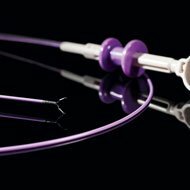 The unique elastic telescopic design achieves hemostasis by focusing closure at an optimal tissue depth to maximize effectiveness.